If the following words mean anything to you, then this recipe may not require further explanation: a bowl of Nutella. OK, so this chocolate hazelnut smoothie bowl doesn’t actually contain Nutella, but the combination of chocolate and hazelnuts comes pretty close. If you’re unfamiliar with Nutella, it’s an Italian chocolate-hazelnut spread that can be slathered on toast, combined with bananas in a crepe, or squeezed onto your froyo when you’re having a “me” day. It’s amazing — very high in sugar and other not-so-great ingredients. Our healthful interpretation of the chocolate-hazelnut delight contains much less sugar and is higher in protein, making it a nutritious meal that tastes more like a cheat treat than a fiber-packed power bowl. 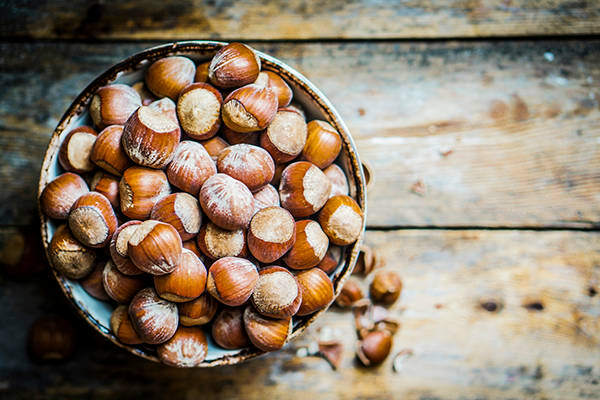 Hazelnuts come from birch trees. They contain tons of nutritional value, including dense amounts of fiber, folates, and fatty acids. Fun fact: They’re known in England as cobnuts. This recipe calls for Chocolate Shakeology, which maintains the delectable flavor of chocolate and protein, super greens, fruits, and probiotics. Use Chocolate Vegan Shakeology for a 100-percent plant-based dish. This Chocolate Hazelnut Smoothie Bowl is as simple to make as a glass of Shakeology, but the consistency is thicker — perfect for enjoying with a spoon. Garnish with shredded coconut and chopped dark chocolate for texture and sweetness, along with a sprinkling of sesame to add savory balance. Pro tip: The higher the percentage of cacao in chocolate, the better. 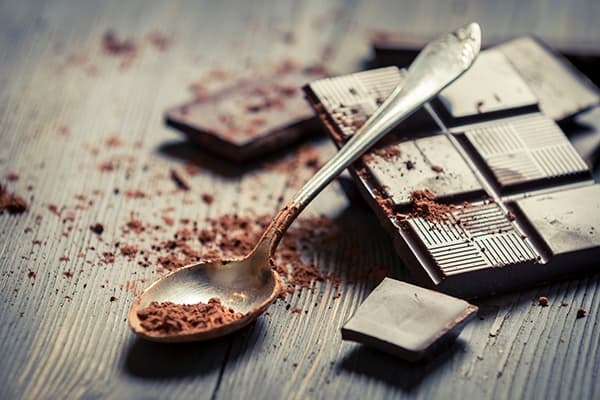 Look for chocolate that is at least 70 percent cacao or higher. Watch Ultimate Portion Fix creator Autumn Calabrese and her brother, chef Bobby Calabrese make a similar version of this recipe for the Chocolate Hazelnut Smoothie Bowl on their healthy cooking show, FIXATE! Love Nutella? 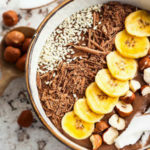 Try this Chocolate Hazelnut Smoothie Bowl! Place almond milk, Shakeology, hazelnuts, and ice in blender; cover. Blend until smooth. Place smoothie in a medium bowl. Top with coconut, sesame seeds, and chocolate; serve immediately. Remove the tablespoon of dark chocolate and add some fruit to this recipe for a great breakfast.